Austin consistently ranks as one of top entrepreneurial cities in the country. What better way to keep the spirit going than to pass it on to the next generation? Over 10,000 budding young entrepreneurs will be learning valuable business lessons while serving up lemonade as part of the second annual Lemonade Day. This Sunday, May 2, Austin will be dotted with these homemade lemonade stands, a good way to teach children valuable lessons in responsibility, money, and people skills. Upon being registered by a parent or caring adult, every child participating receives a yellow backpack filled with educational resources needed to create a successful lemonade stand business. They will learn how to set goals, develop a business plan, establish a budget, seek investors, and provide customer service. The children are allowed to do what they want with the money they earn. The children are empowered to make all the business decisions, including when and where to open their business. On Lemonade Day only, the City of Austin has permitted participants to sell lemonade on public property. Children will also have several chances to win one of 43 iPads to be given away. 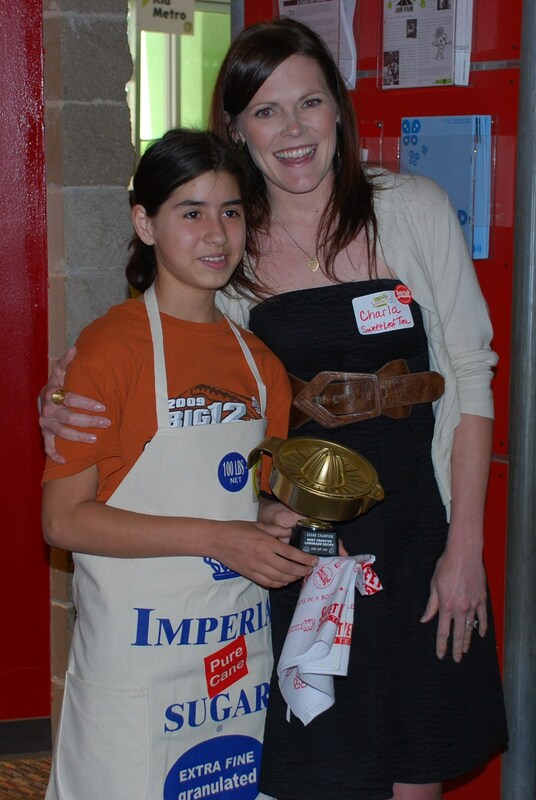 On April 25, a Best Tasting Lemonade contest was held at the Austin Children’s Museum as one of the kick-off events. Charla Adams, communications manager for Sweet Leaf Tea, was on hand to announce the winners for Best Tasting Lemonade and Most Creative Lemonade Flavor. Lemonade Day was started four years ago in Houston by Michael Holthouse with Prepared4Life, an organization focused on building assets in kids by integrating life skills, character education and entrepreneurship with engaging experiential, fun activities. So stop by a lemonade stand this Sunday to buy a cup of lemonade and do your part to keep the pitcher of entrepreneurial spirit full in Austin. 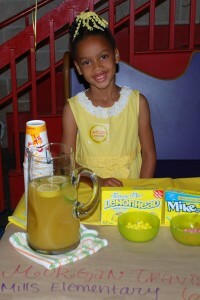 For more information on Lemonade Day, visit the website at http://austin.lemonadeday.org.